Dallon Weekes, who you might recognize as Panic! 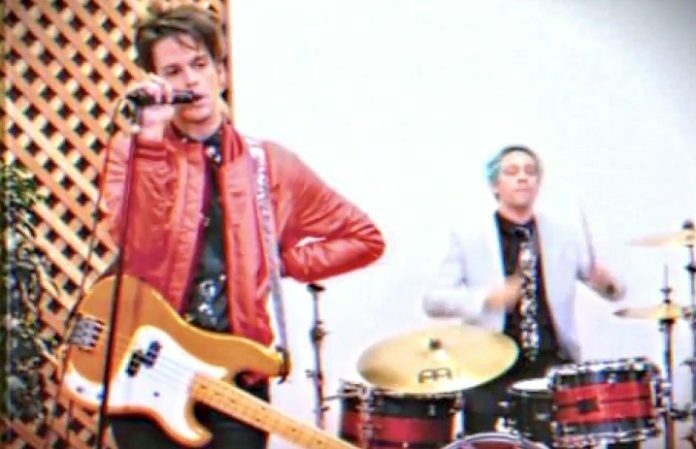 At The Disco’s current bassist, keyboardist and backing vocalist, has debuted the first song from his new project, I Don't Know How But They Found Me, enlisting drummer Ryan Seaman to be a part of it, too. Hear their first single, “Modern Day Cain,” below! This alternate world where IDK once existed was inspired by a series of old cable talent shows from thirty years ago—it was bizarre, but just enough to inspire IDK. And, in case you were wondering, the name is inspired by a memorable line of dialogue taken from the classic film, Back To The Future. “I was in the middle of making a record when I came across this series of old cable access talent shows from thirty years ago,” Weekes explains. Modern Day Cain. Full video link in bio. Also available on iTunes. What are your thoughts on Weekes’ new project? Let us know in the comments below!